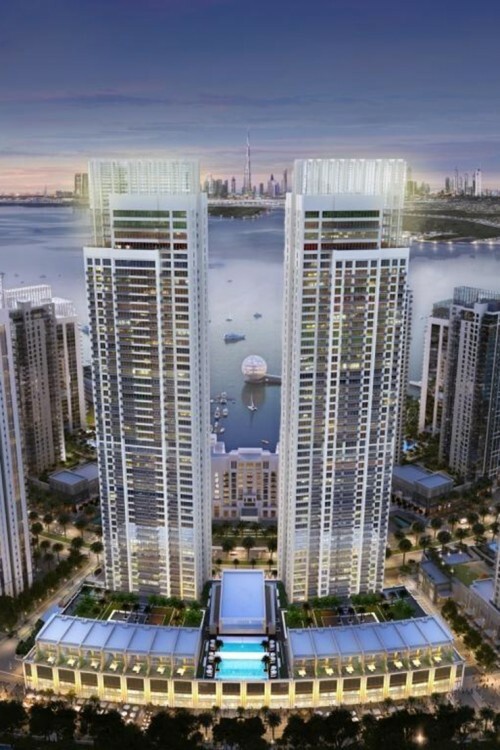 Harbour Views is a development comprising two twin residential towers in Dubai Creek Harbour. 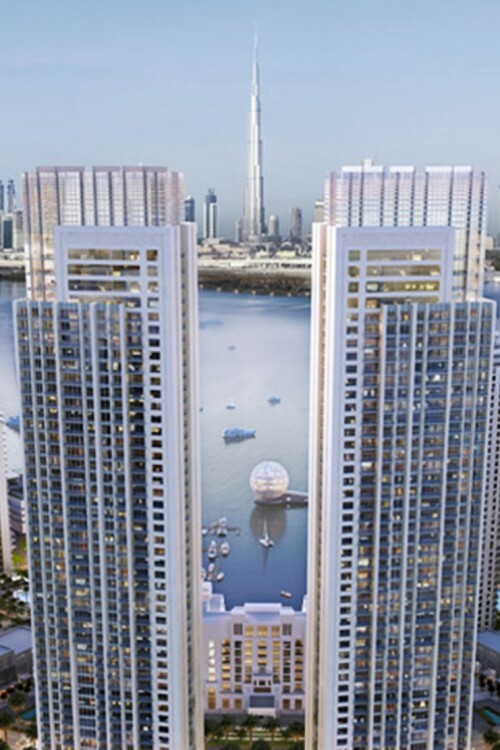 The 51-floor twin towers will contain more than 750 one-, two- and three bedroom apartments and penthouses, which are anchored to a three-level podium. Additional podium level apartments and 14 two-storey townhouses will have direct access to the luxury pool and other podium amenities. 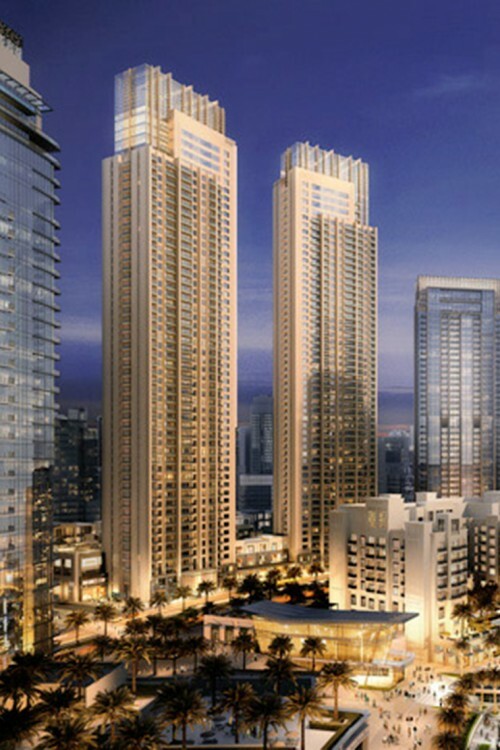 Amenities will include a state-of-the-art gym, swimming pool, a multi-purpose hall and a children's play area. The apartments will feature fully equipped kitchens and bathrooms with natural tone finishes and stone/marble counter tops. 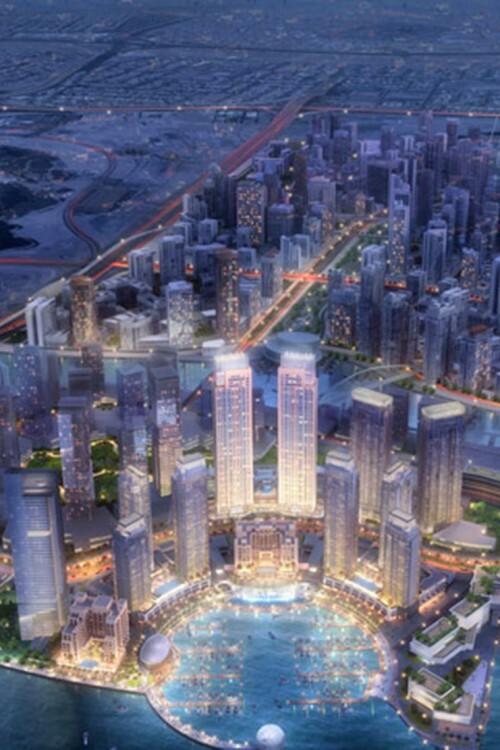 The project was the first Emaar launch of 2016 and is scheduled for completion in October 2019. One-click links to properties currently on the market in Harbour Views. 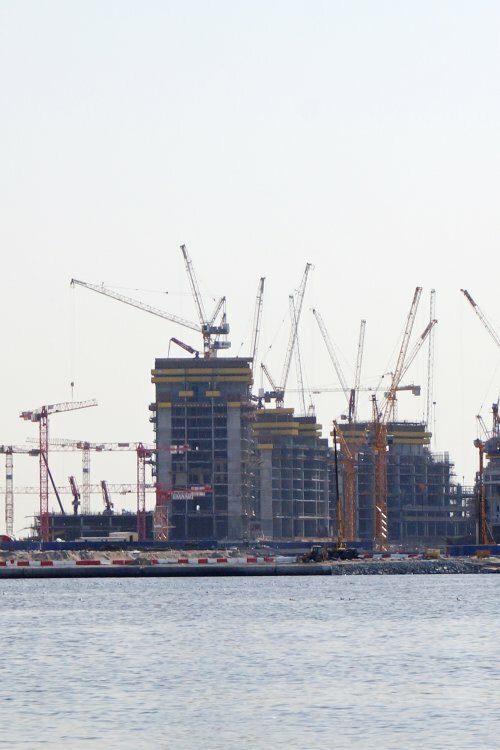 As of Quarter 4 2016, piling installation and pile testing were complete, excavation to cut off level and pile head breaking was on going, and the main works contract was being tendered. The contract was expected to be awarded by the end of February 2017. 2018 Q3 Status: 45,46% Completion. 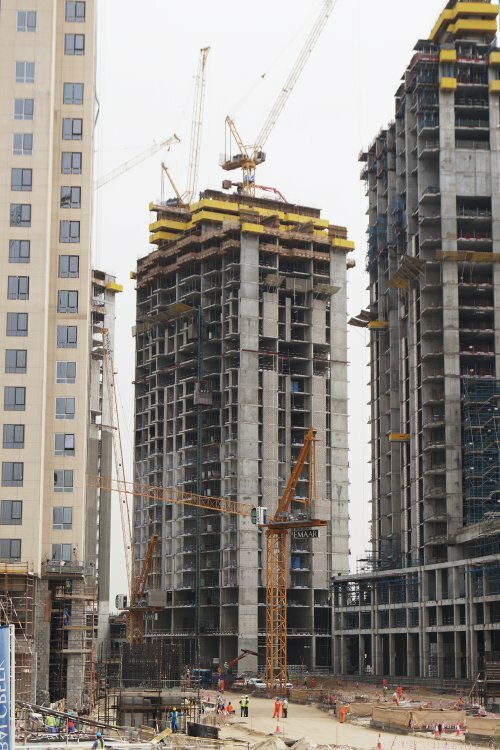 Concrete pour is in progress up to level 42 and blockwork up to level 35. Plaster is completed from level 4 to 28 and ongoing at level 29.